I am installing Hackintosh Sierra Zone at my Dell pc everything boots fine but when installation is about to complete it just show an error log after less than a minute remaining step. I don't know what this error is about. 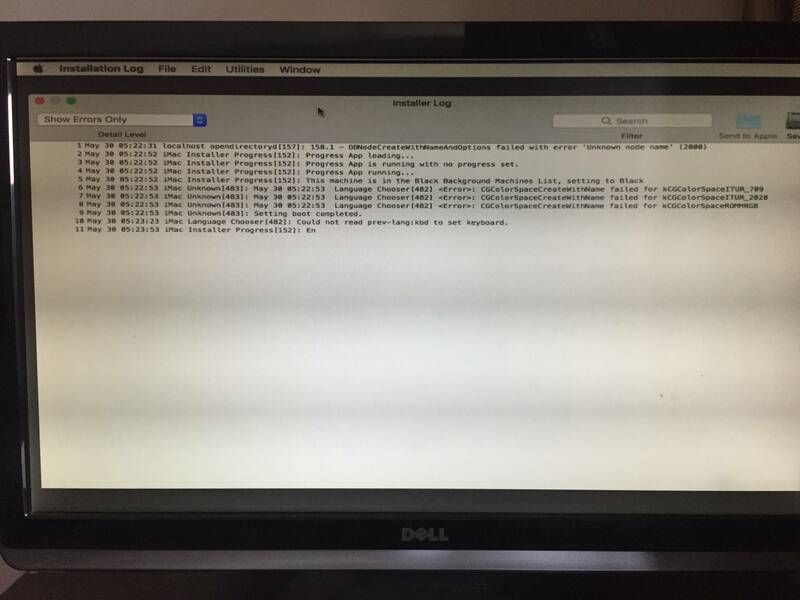 Here an image of the error log please help me to install macOS Sierra. Earlier I installed Niresh Mavericks and it worked like charm. Have you tried customizing the options from the bootloader during the install process, disable graphics driver for ATI & Nvidia if your pc doesn't have any external graphics card. By the way what's your pc configuration? ?